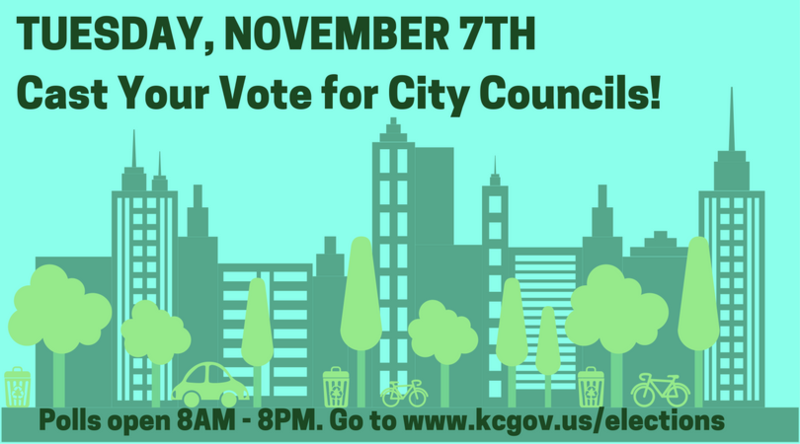 Speak up for Your City Council and Vote! This November election, residents across Kootenai County are invited to cast their ballots for various city positions. That includes Mayoral seats in some cities, City Council seats in all cities and Fire District Commissioners seats in some districts. To see what is on your ballot and locate your polling place, you can visit the Kootenai County Elections office website. When it comes to public awareness, this local election certainly pales in comparison to last year’s contentious November election. While local-level politics is often overpowered by what is happening in Washington D.C., oftentimes it’s on the community level where everyday citizens can enact the most change and be heard. Robust voter participation in local elections helps ensure that the towns and cities we call home have true, majority-based representation. As a Coeur d’Alene resident, the ballot I received early in the mail this year was incredibly simple to cast because honestly, there wasn’t much on the menu. Nobody had filed in competition with Mayor Steve Widmyer and City Councilmembers Amy Evans, Kikki Miller, and Woody McEvers, and I was personally unaware of any specific people to write-in. This lack of competitiveness may possibly reflect that the community of Coeur d’Alene is satisfied with their City Council. But as I filled out my ballot, I wondered, do I even know who my City Council representatives are? Or more importantly, do most ordinary citizens even know the various resources to learn about City Council affairs and all the available methods to exercise their voice year-round? On Facebook, I learned about an amazingly accessible opportunity to meet two of my representatives and learn more about the Coeur d’Alene City Council. The October 16th event was called “Connect with Amy Evans: Vote Nov. 7th” and took place at the Art Spirit Gallery in downtown Coeur d’Alene. Councilmember Kiki Miller was also there to support the GOTV effort and participate in the meet and greet. I found both Amy Evans and Kiki Miller to be warm and inviting, both willing to field my questions. A stack of yard signs and complimentary wine was available amidst the eclectic environment of Art Spirit Gallery. 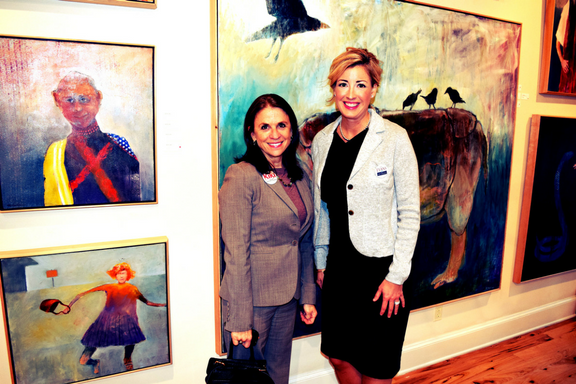 Amy informed that she is a big supporter of public art, so an art gallery was a natural fit for her event. Amy said that this was a “somewhat quiet election” and that evening was the only event she was doing for her campaign. However, she said that it was “important to get out the vote, regardless” and wanted to use this opportunity to distribute yard signs. Yard signs tend to serve as powerful, neighborhood reminders to vote. There are several ways community members can get involved in the Coeur d’Alene City Council. Public meetings are held on the 1st and 3rd Tuesdays of the month at 6:00 p.m. at the Coeur d’Alene Library Community Room. People who wish to speak about city business are allotted three minutes for public comment. Monthly minutes are available online for those who want a recap of what the City Council attends to. For people who cannot make it to the meetings, they can catch them on YouTube or via Facebook live feed videos. There are a wealth information and tools available on their website at www.cdaid.org, from a full city directory to archives of their Municipal Milestones newsletter. Constituents can simply fill out a contact form if they have a question or concern. What I learned from this small event is that our City Council is here to listen. We all have a vested interest in our community. So if you haven’t done so already, please take a moment to stop by your polling place anytime between 8:00 a.m. and 8:00 p.m. this election day. Your vote does matter.